In the ancient world fennel was more than a mere aromatic herb used to accentuate certain dishes – it was elevated to super-herb status, much like the bay leaf and olive branches. Fennel was favored by the Egyptians for its culinary taste and medicinal properties, and elevated to champion status when it was carried by the ancient marathon runners like a torch, then hung in doorways during the Middle Ages to ward off evil spirits. The great mythological hero Prometheus used a fennel stalk to steal fire from the gods, and the original marathon or marathos, which literally means fennel in Greek, was named as such to commemorate a legendary Greco-Persian battle fought in a field covered by this aromatic herb. 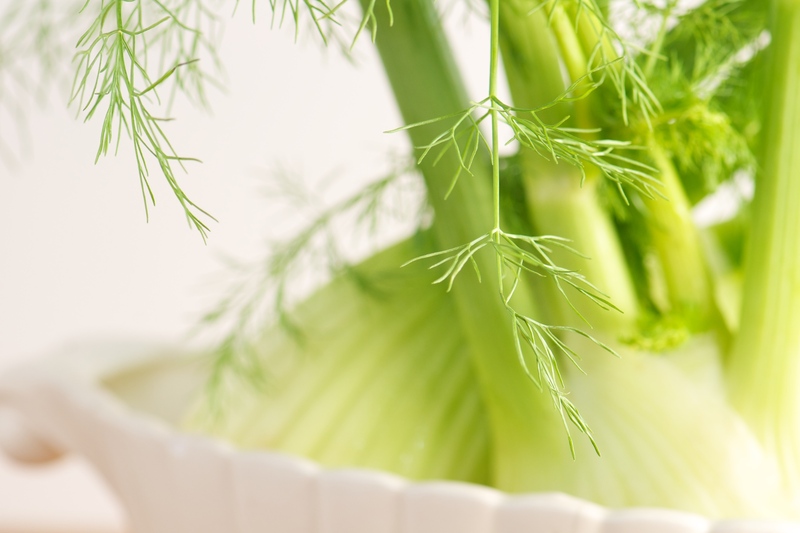 Revered since time immemorial for its superior digestive and carminative properties, fennel boasts a unique combination of phytonutrients and powerful antioxidants, with added anti-inflammatory and cholesterol lowering benefits. Whereas in many parts of the world, particularly in Mediterranean, Middle Eastern, and East Indian cuisine it is used amply for its distinct aromatic anise-like flavor as well as its digestive benefits, here in the States fennel is largely neglected. But not in my kitchen! Hence, on a recent food-shopping excursion in preparation for a friend’s improptu lunch visit, I was perfectly inspired to create a last-minute ‘meal of champions’ – a challenge I often like to undertake. I usually like to pack plenty of nutritional value into everything I prepare, especially during the colder months when maintaining high energy levels and strong immunity is key. So I decided to make a creamy aromatic soup using ginger to boost immunity and add a kick to the delicate aroma of fennel, paired with a refreshing salad loaded with antioxidant and vitamin-C rich citrus and pomegranate seeds. Enjoy these delightful and festive dishes, and serve them anytime you want to impress you guests! Combine the ingredients listed above, sprinkle with roasted pine nuts, and finish with a drizzle of first-pressed extra virgin olive oil and a pinch of mixed artisanal coarse salts. For a bigger wow factor add some gorgonzola cheese. Slice fennel bulbs 1/4 inch thick and toss with carrots, onion, garlic, and drizzle with olive oil, then add springs of thyme, 1/2 teaspoon salt, and 1/4 teaspoon pepper. Spread in a sheet pan and roast, stirring occasionally, until browned and tender, about 25 to 30 minutes at 450°F with rack in lowest position. 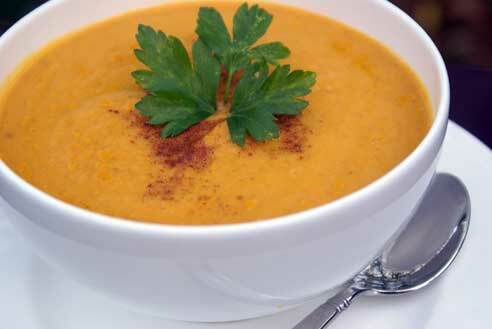 Blend half of vegetables in a blender with the broth until very smooth, removing thyme beforehand. Transfer to a medium saucepan. Repeat with remaining vegetables and water. Thin to desired consistency with extra water and simmer 10 minutes. Season with extra salt and pepper, and add thyme springs or parsley to garnish.